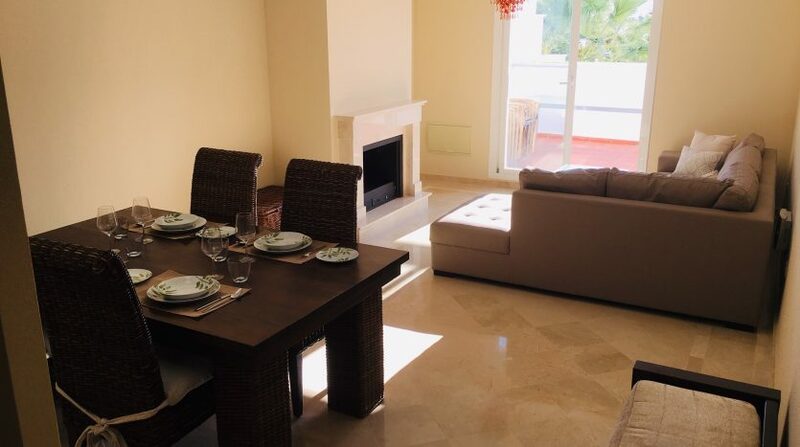 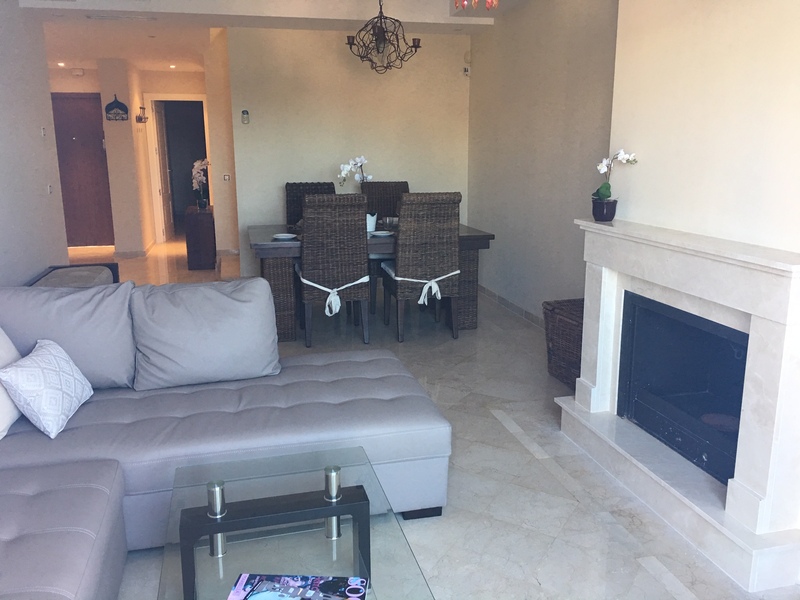 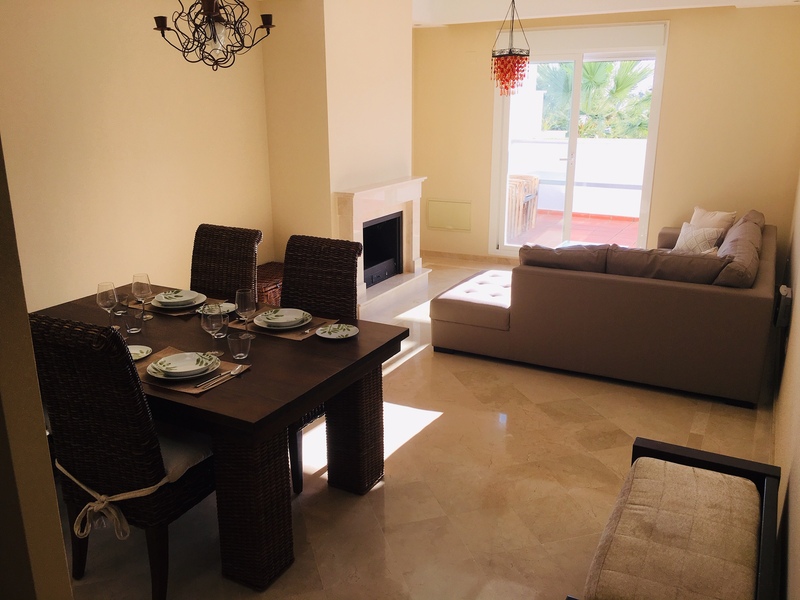 This large 3 bedroom duplex apartment is located within the first phase of the Aloha Royal complex just 2km north of Puerto Banus and within the golf valley area, so popular with buyers from across the globe. 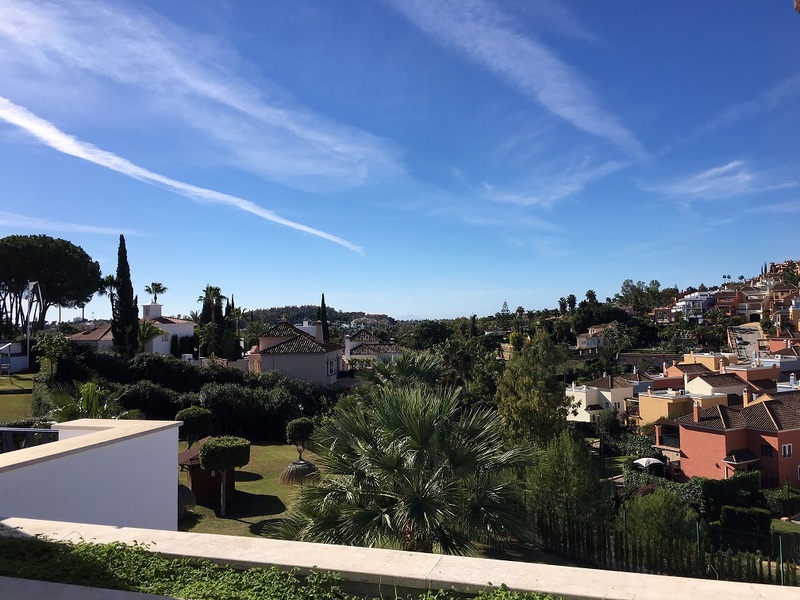 The elevated, south facing aspect ensures great views across the landscaped gardens and the communal swimming pool. 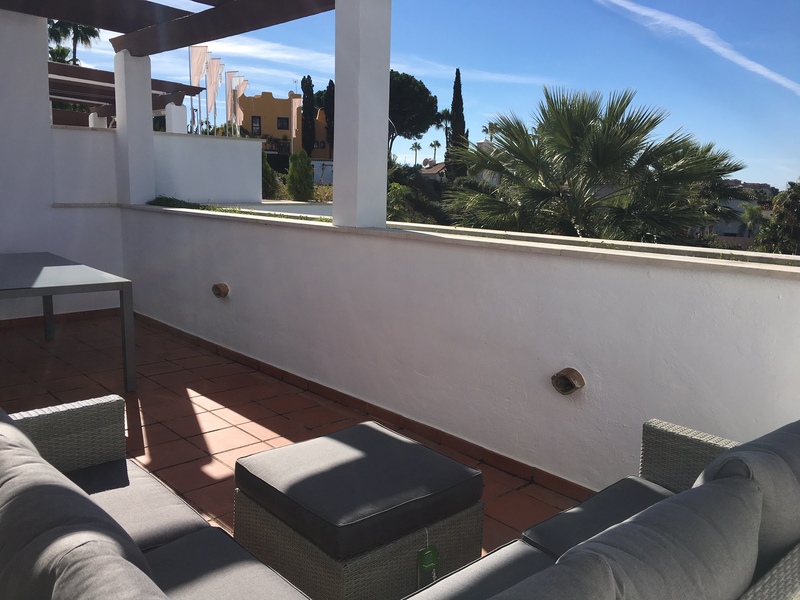 The complex has a peaceful and relaxed feel with mature planting creating a tranquillity that belies the convenience of the location. 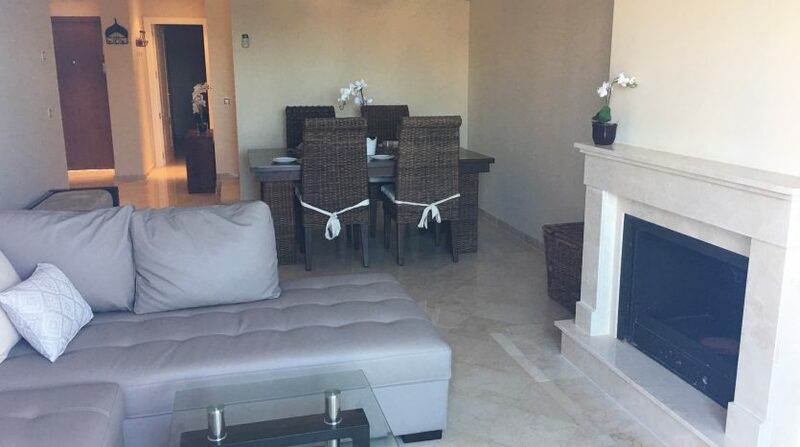 The apartment itself doesn’t disappoint either… the lower floor of the apartment comprises the spacious living room with a feature fireplace and a dining space. 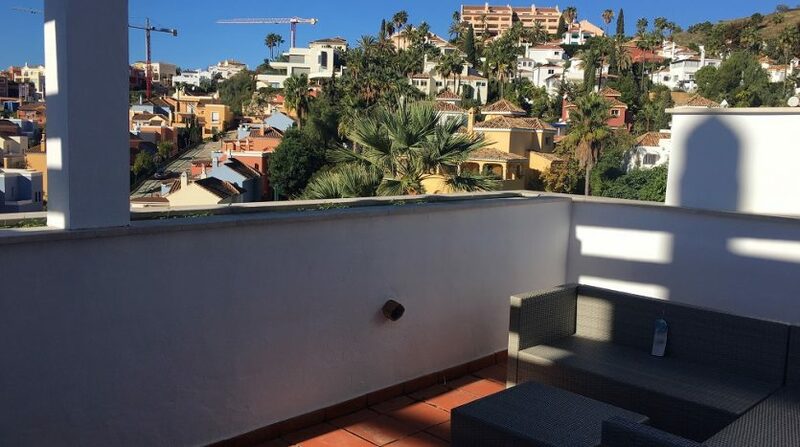 Double doors lead to the south west facing terrace and really connect the inside and the outside of the apartment and offer terrific views. 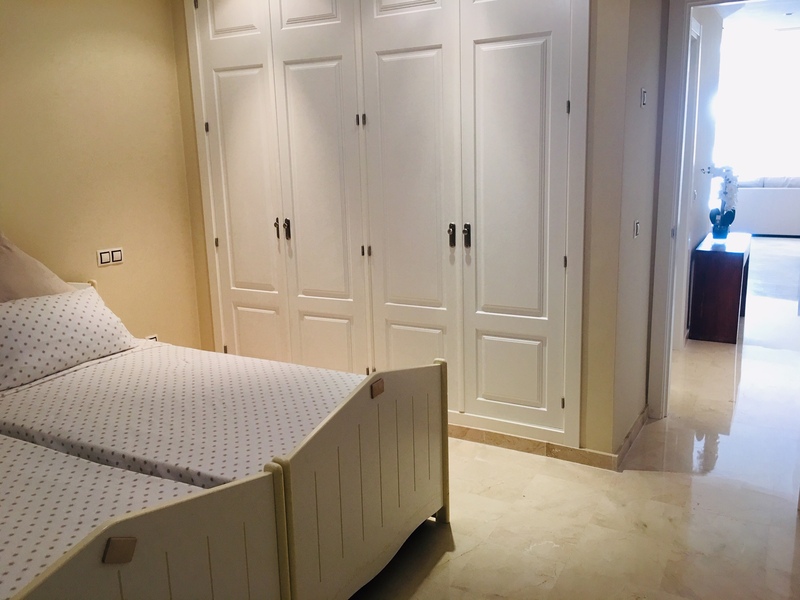 The kitchen is well fitted with stylish white storage units, Bosch integrated appliances including fridge freezer, oven, dishwasher and washing machine. 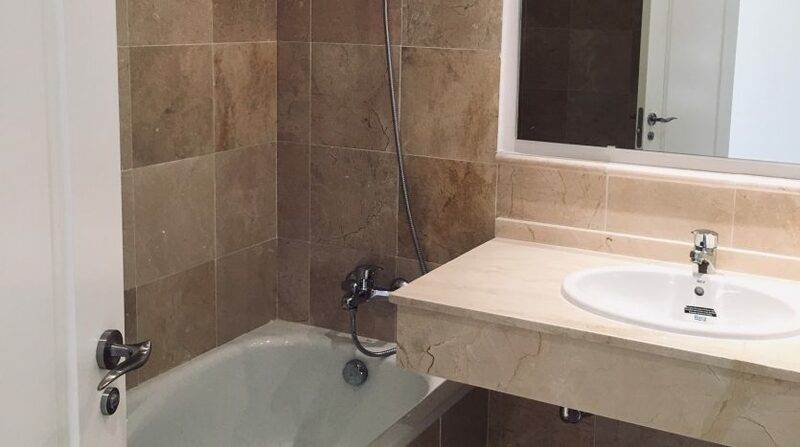 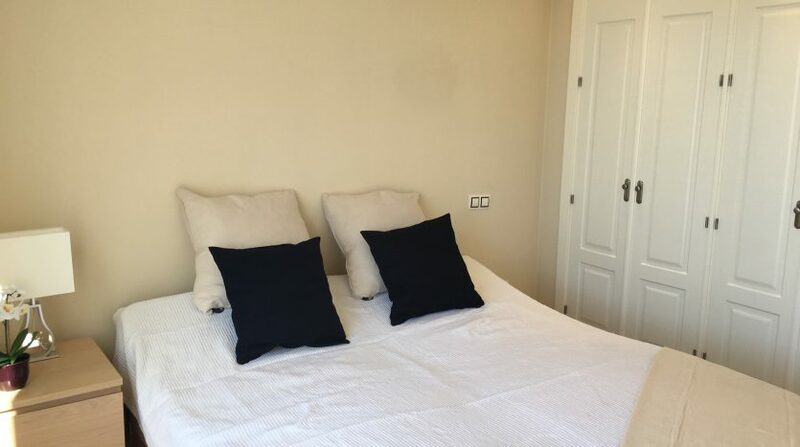 There are two bedrooms on the lower floor with two full bathrooms. 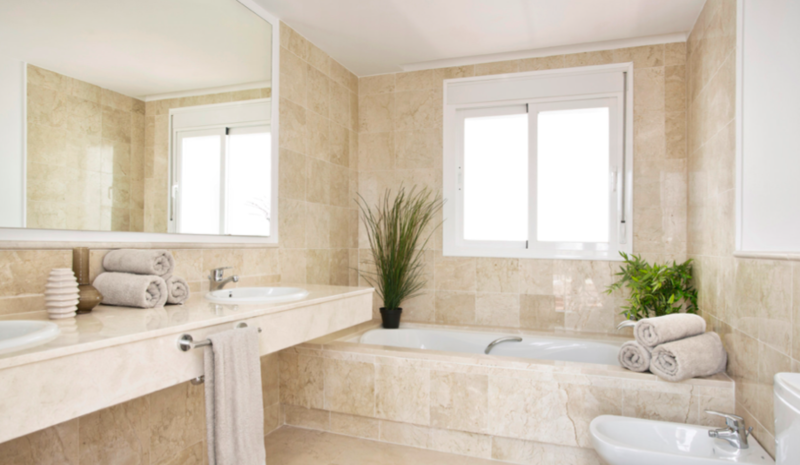 On the upper level is the master bedroom suite with large en-suite bathroom and two terraces. 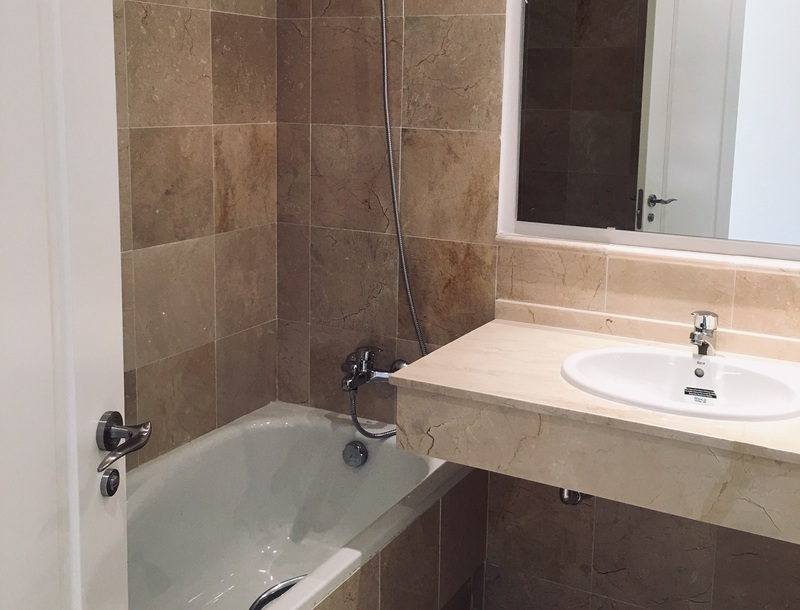 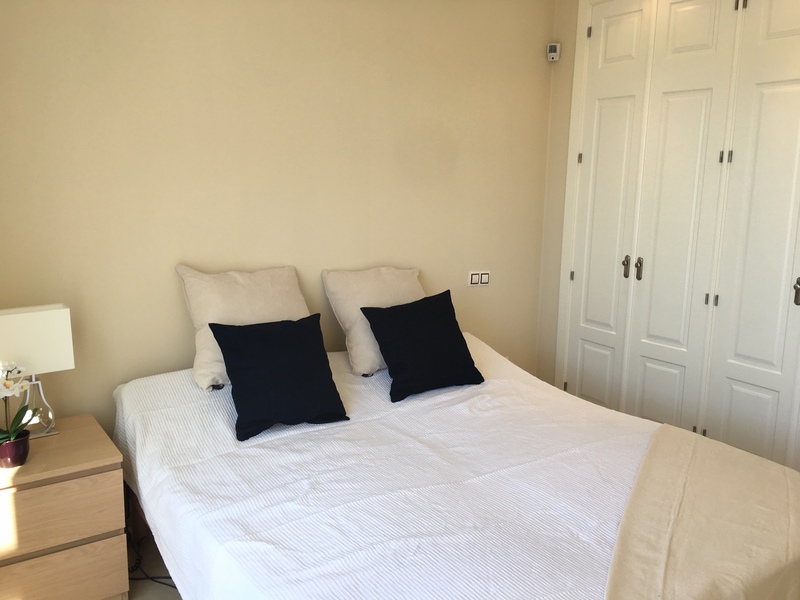 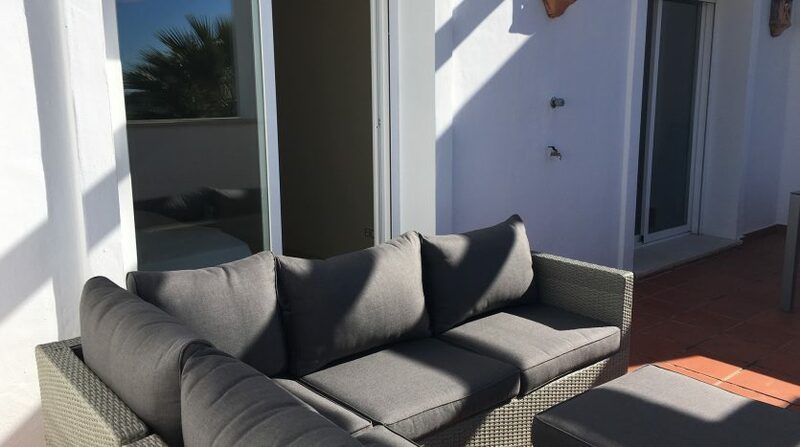 The Aloha Royal complex is well established, well run and offers a secure environment with gated pedestrian access as well as a secure basement car park – this apartment comes with a dedicated parking space and storage room. The environment boasts beautifully landscaped communal gardens, 2 outdoor swimming pools and a children’s play-park. 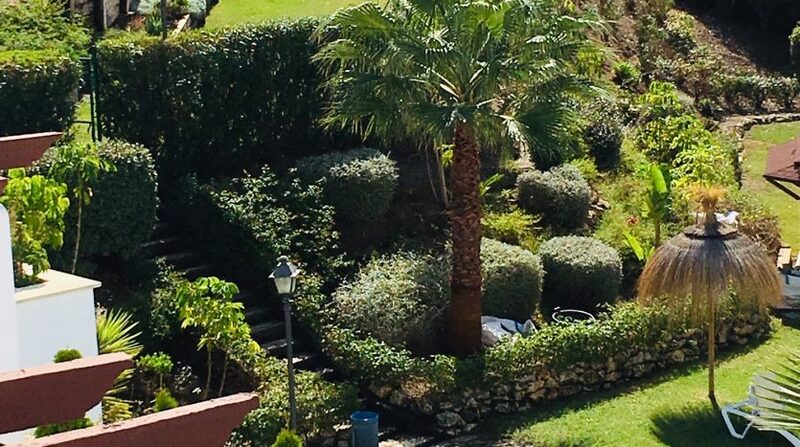 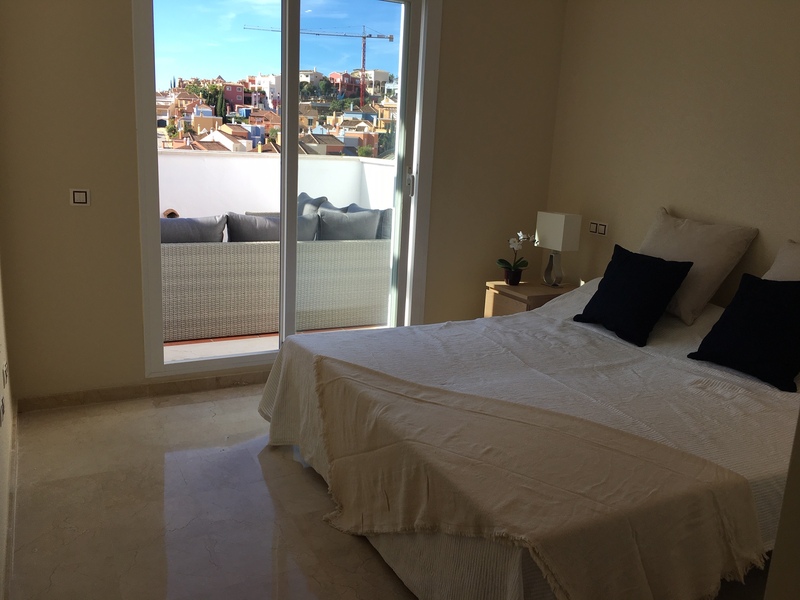 ♦ 3 private terraces, 2 of which look on to the swimming pool, gardens and panoramic views. 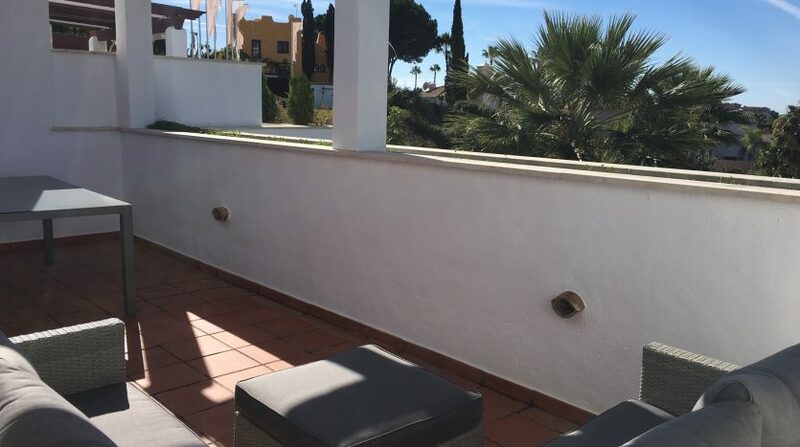 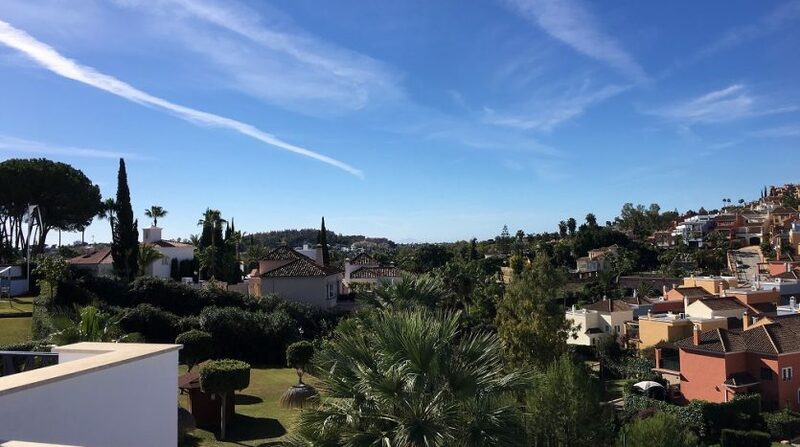 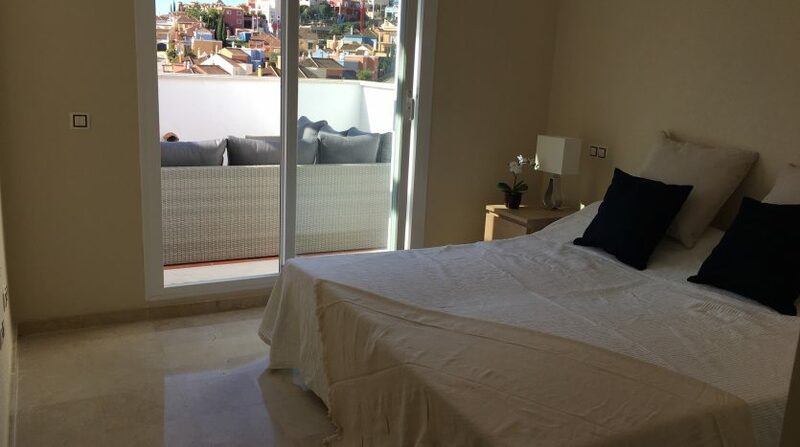 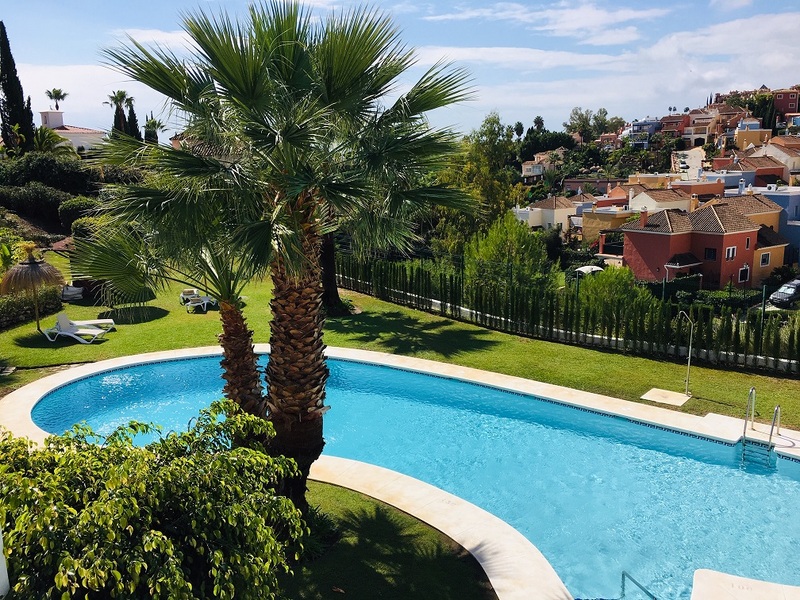 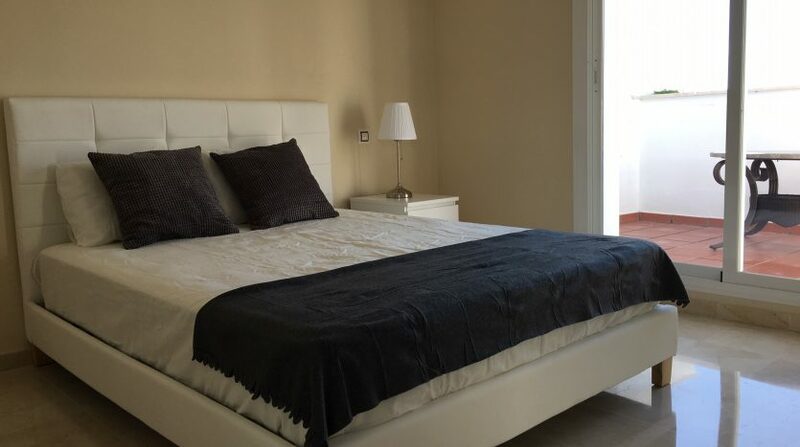 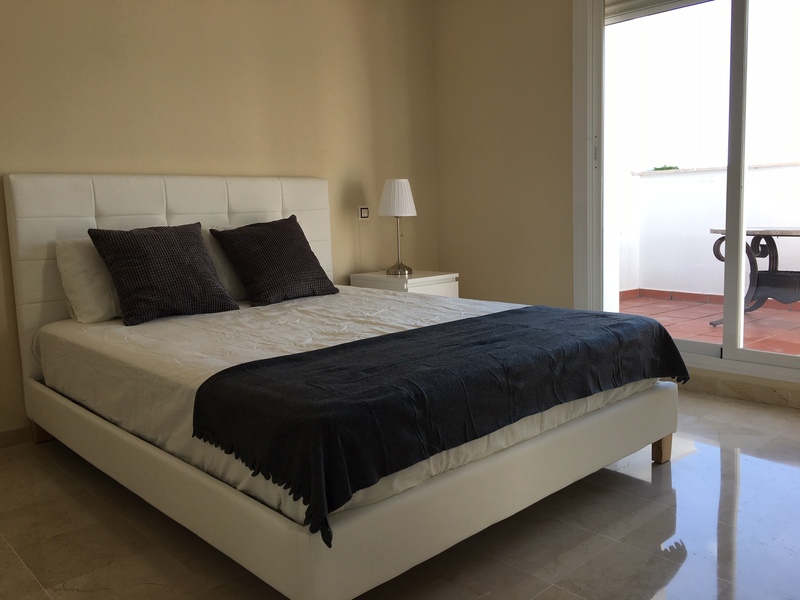 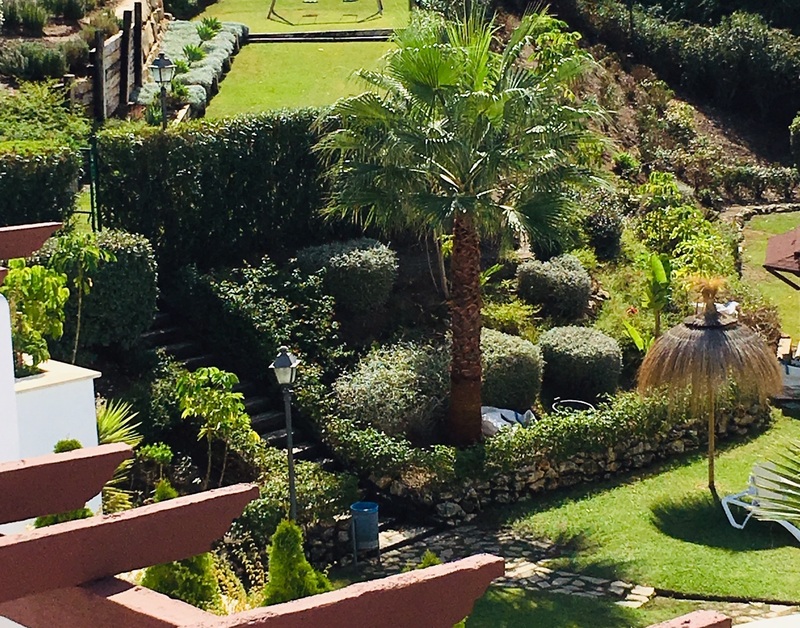 This luxury apartment is located within the Aloha Royal complex in Nueva Andalucia, a large residential area situated just 2 km north of Puerto Banus in the ‘Golf Valley’. 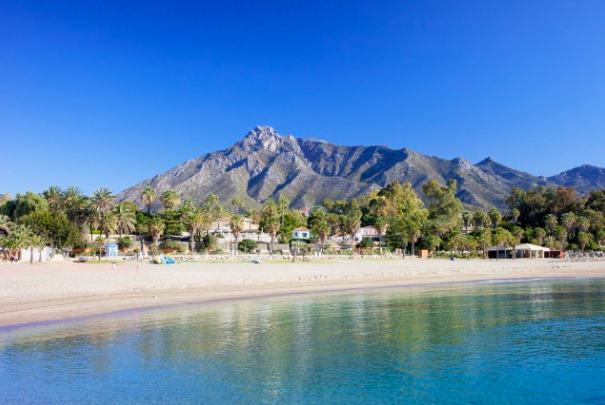 The background for the whole of Marbella and Nueva Andalucia is the magnificent La Concha mountain. 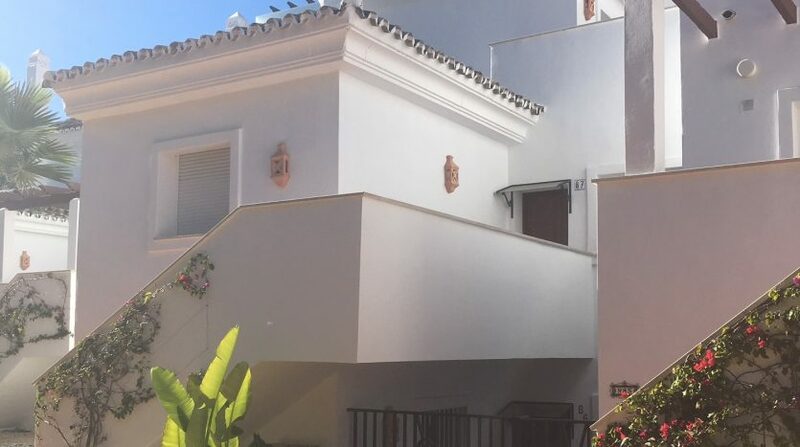 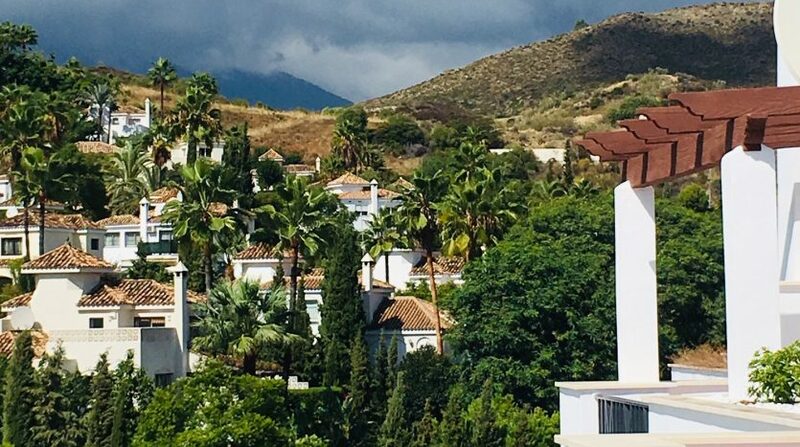 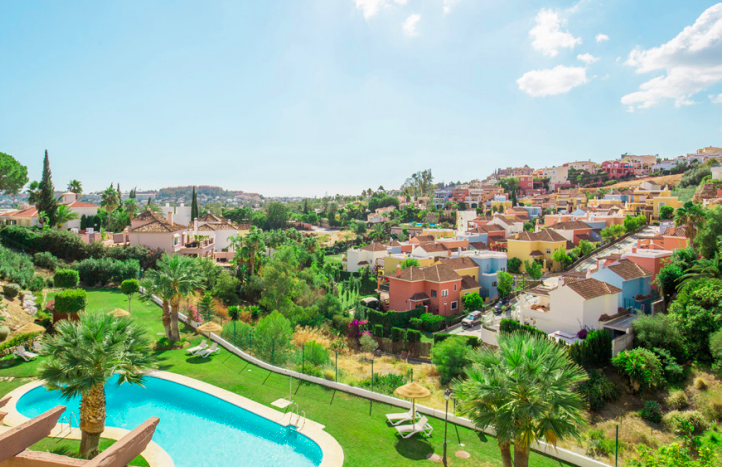 Nueva Andalucia is well known for its luxury villas and apartments found nestled amongst spectacular championship golf courses. 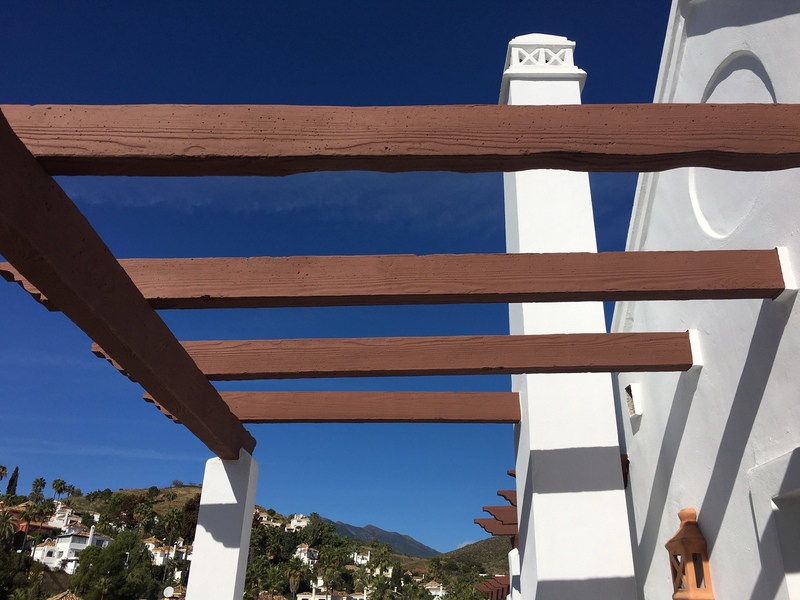 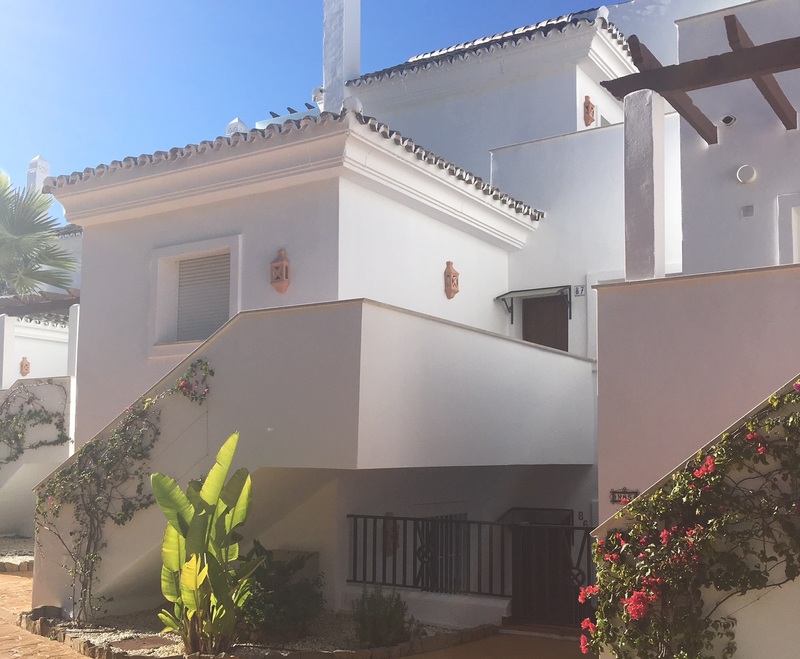 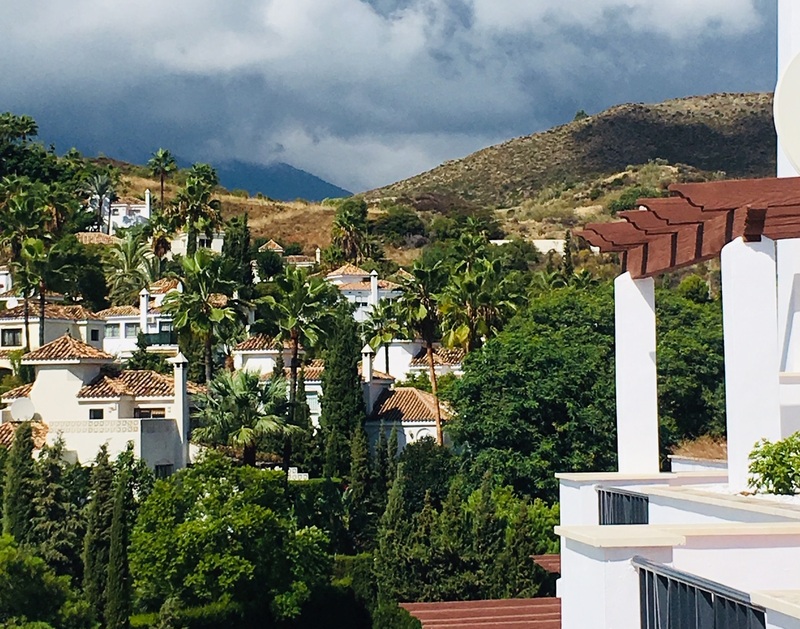 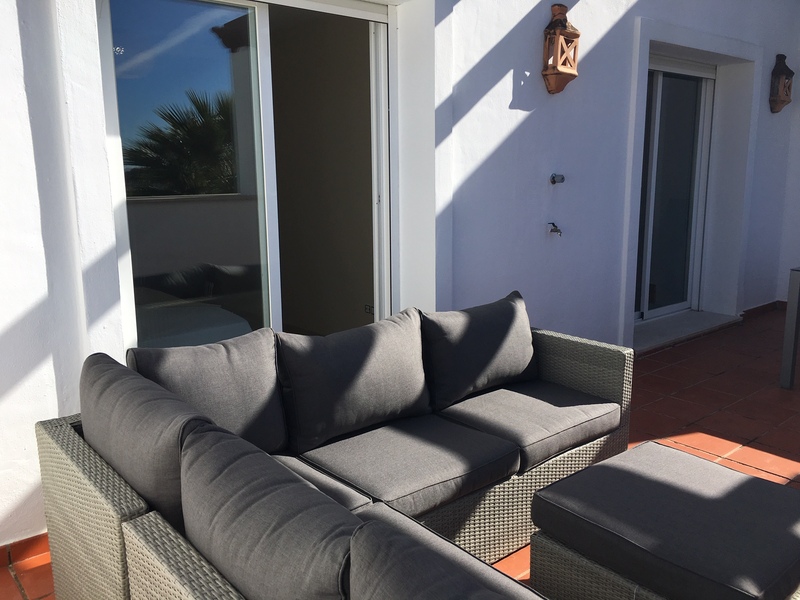 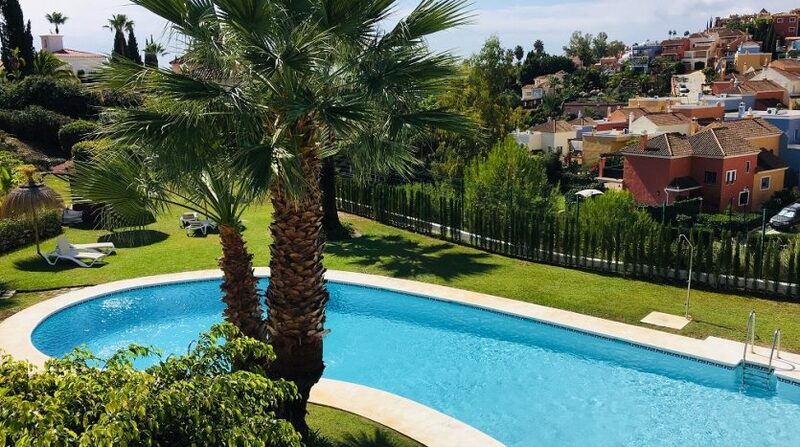 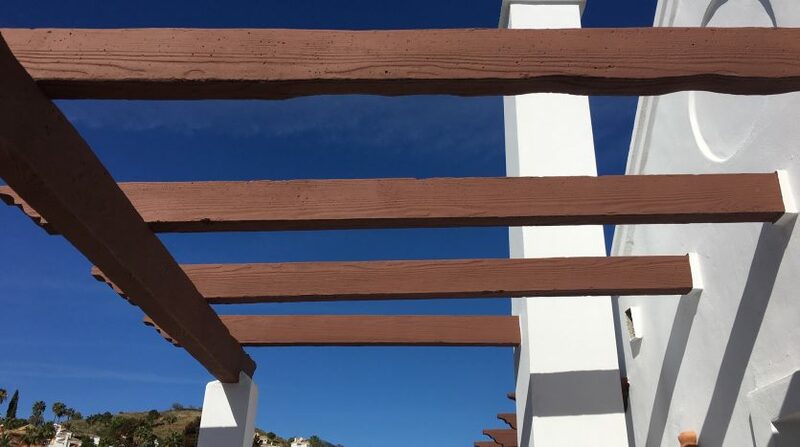 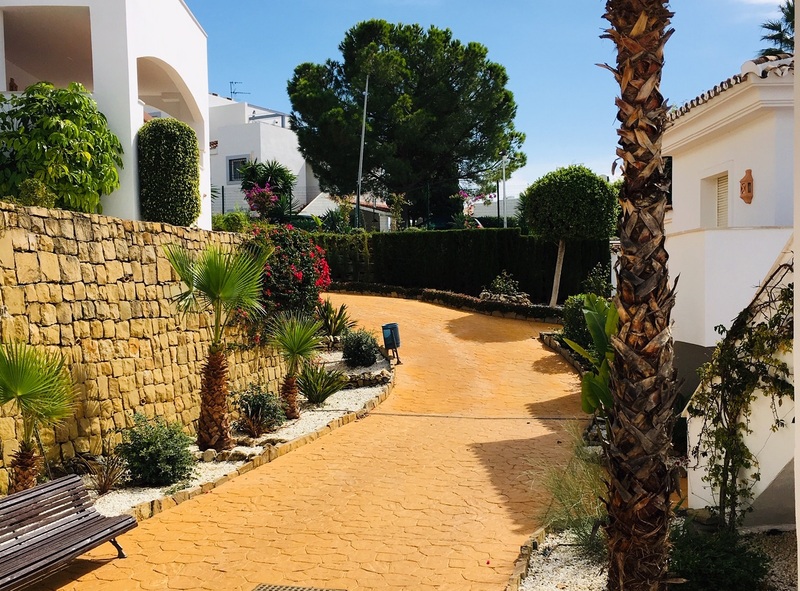 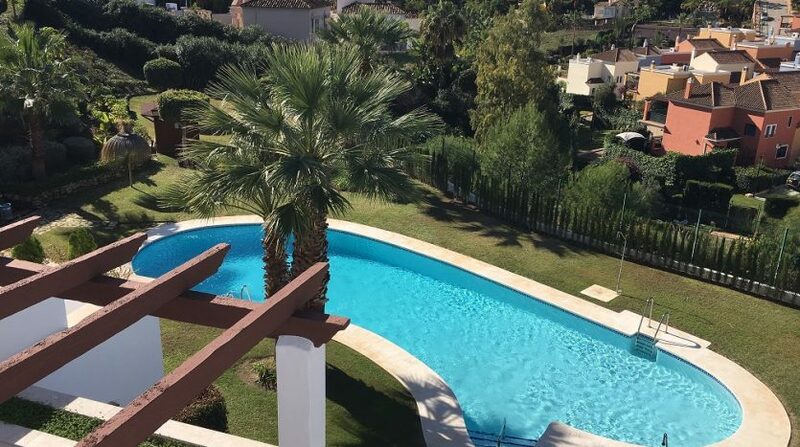 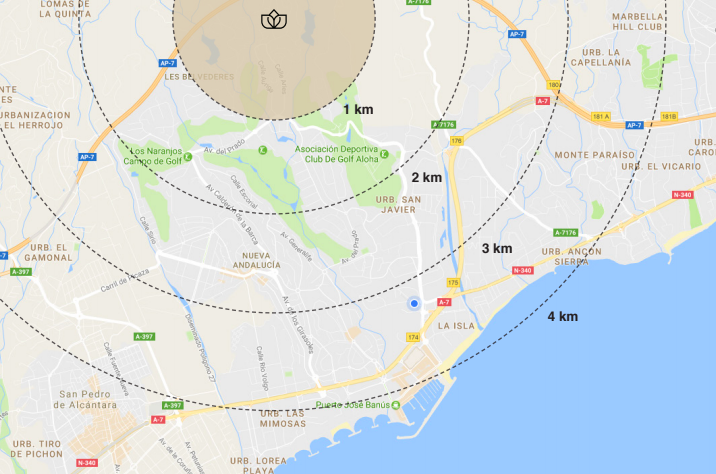 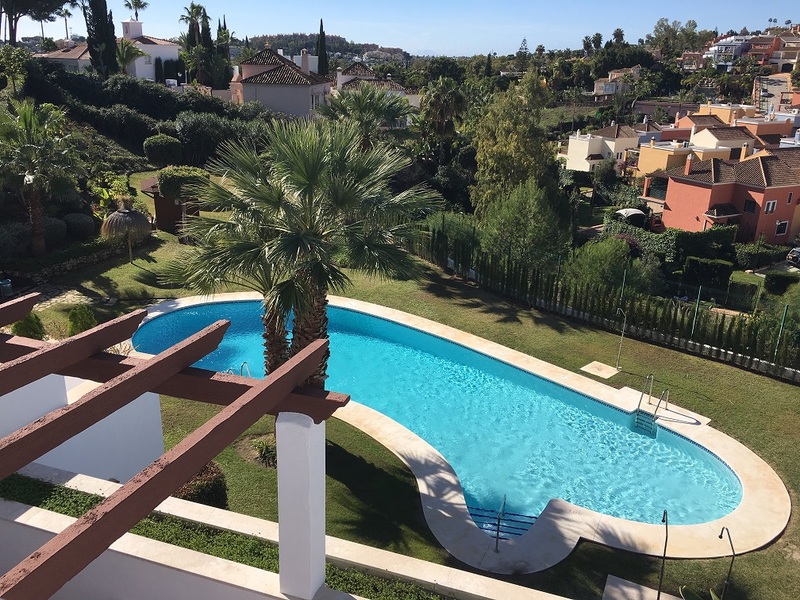 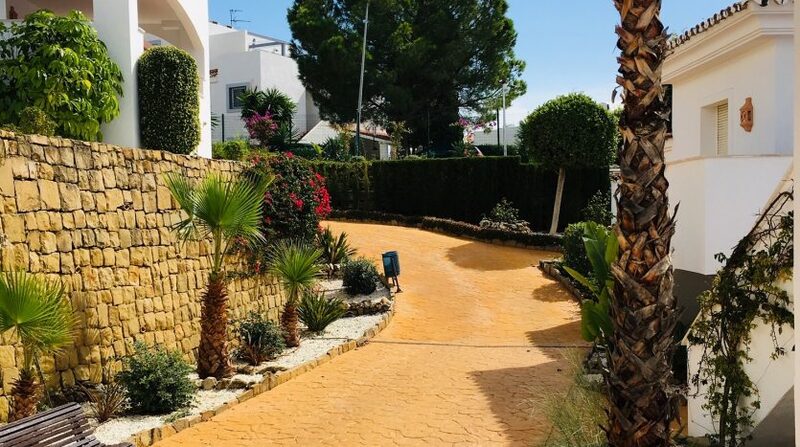 Courses such as Las Brisas, La Quinta Golf, Aloha Golf and Los Naranjos Golf add a touch of peace and tranquility to the area making it perfect for both residential living and holiday home use as well as a popular venue for investors. 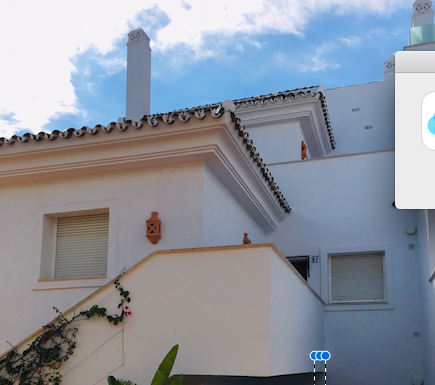 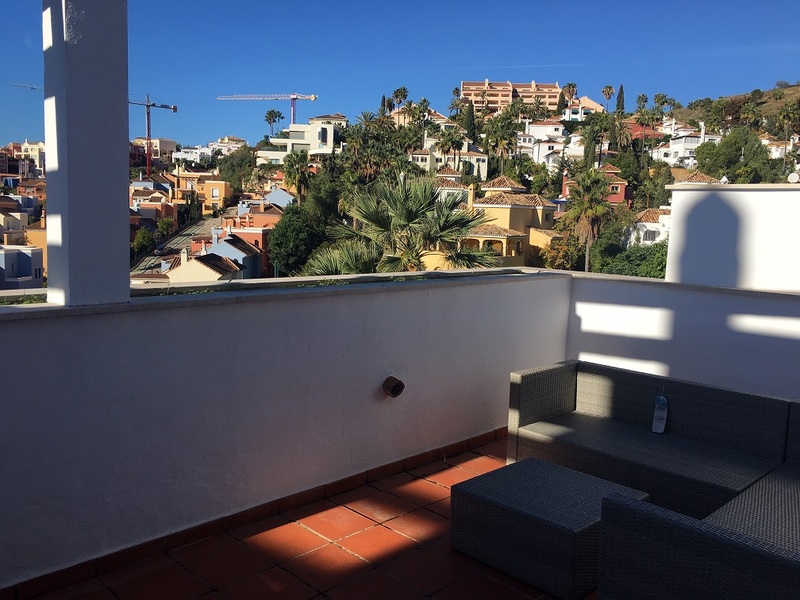 Nueva Andalucia has a good reputation for its high-end cosmopolitan lifestyle. 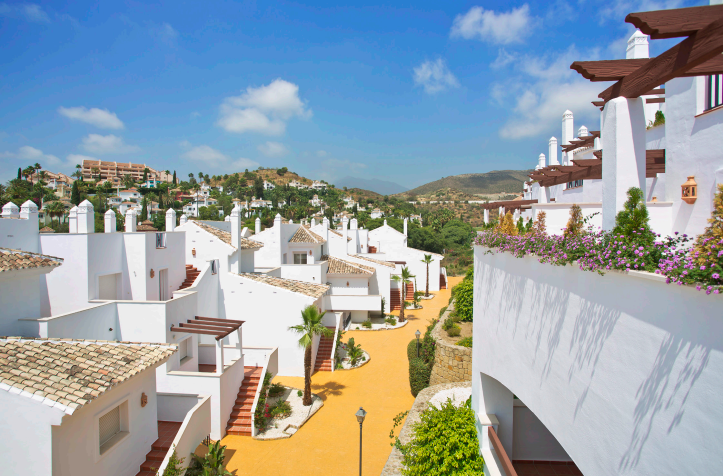 Residents here enjoy its many restaurants, bars, coffee shops and supermarkets. 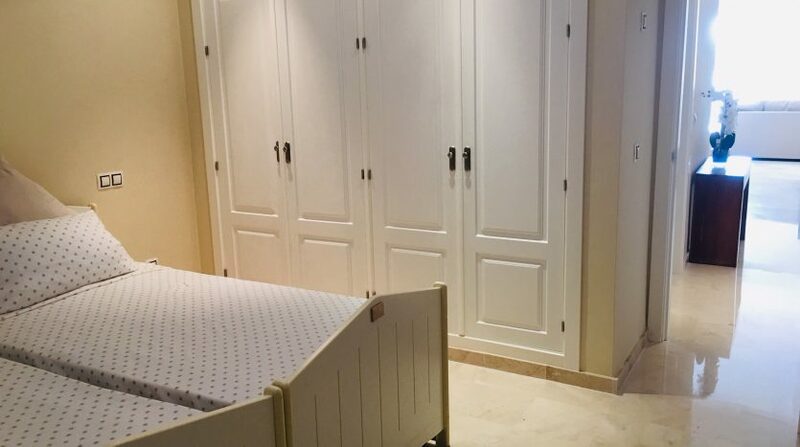 Its close proximity to shopping malls, international schools and recreational establishments make it ideal for families also.